I’m fortunate to have been able to extensively travel the world and photograph many of its creatures. I enjoy sharing my adventures with others through photography. Most of our photo trips are into the jungles and wilderness in pursuit of all things wild. Nature and all its creatures hold a special fascination for me, as do the people of remote places. 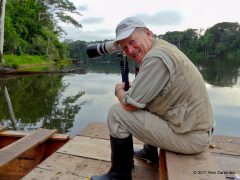 I’ve accumulated photography from over seventy countries on seven continents over the past fifteen years since my retirement. I have over a hundred thousand pictures and many remain unprocessed. I’ve always said that I’d get around to processing them when I was forced to slow down. At the beginning of 2016 I said it was now time to get some of the photos out of the computer and share them with others. 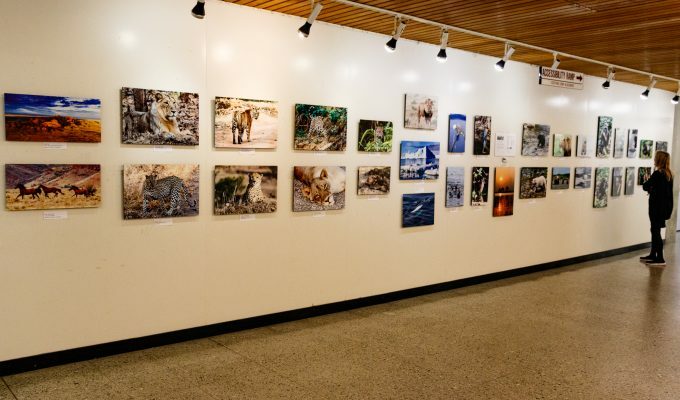 This showing of my photography, sponsored by the Arts Council Santa Cruz County and the County Department of Public Works, at the Santa Cruz County Government Center is my initial effort at printing some of my work and making it available for other people to see. Finally, it is out of the computer and onto a wall for exhibit. Hope you enjoy the exhibit. Thank you for posting this exhibit!